2018 was an incredible year. 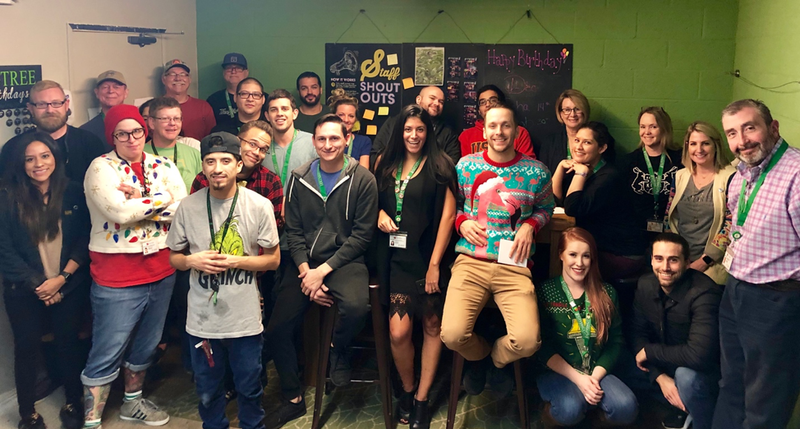 Our team continued to expand in 2018 with the addition of a wholesale team that works tirelessly to get Giving Tree’s products in the hands of every patient in Arizona. Kindred has grown and is now in over 25 dispensaries, from Flagstaff to Tucson. We also launched our newest brand, Katatonic, a high-end line of concentrates, in October of this year which has expanded to over 7 locations. Our continued focus on charity and being part of the community remains as we have partnered with the Pat Tillman Foundation to bring awareness to Veterans and the benefits of medical cannabis. We’re looking forward to joining the Pat Tillman Foundation in 2019 on April 27th for Pat’s Run. Interested in joining us? Get more info here: join the 15th Annual Pat’s Run. The Giving Tree Family weren’t the only ones taking notice of our efforts, as many media outlets featured our company including Marijuana Venture, Deer Valley Times, Leafly, DOPE Magazine, FOX 10 Phoenix, Green Entrepreneur, The Sun, and Voyage Phoenix. 2018 was a wonderful year for Giving Tree, full of challenges and accomplishments that made us proud to be leaders in the cannabis industry. Happy, healthy and exciting 2019 to all of you. Puerto Rico - We had a setback in Puerto Rico when Hurricane Maria hit the islands in October 2017. Our greenhouses were completely destroyed, and the island had to rebuild but we knew this was just a bump on the road. Our mission to bring well-being across the globe is stronger than the setbacks we faced. We have fully rebuilt our facilities and got the approval to grow and extract! We plan to open our 2 out of 4 dispensaries in Q1 and all four by end of Q2 of 2019. We can’t wait to be part of the amazing community in Puerto Rico. Israel – we are working hard to get our GMP/GAP certified construction documents approved so we can start building and creating an amazing company in Israel. Soon we will be able to start export across the globe. We are waiting to hear about other licenses across the United States. We teamed up with several top organizations across the country and are confident in our journey of bringing our experience and products to new markets. Kindred has continued to grow and is now in 25 Dispensaries across Arizona! Our capsule line took the lead this year as the number one best-selling capsules in the state. For the third year in a row, we celebrated 4th of July with our friends at Chrysalis by hosting a BBQ. It was a fantastic event filled with fun, food and games, as well as raising donations of school supplies for the families of Chrysalis. We launched our newest brand this year, Katatonic, a high-end line of concentrates that are truly unmatched in quality in the state. Having the means to craft every aspect of our products from beginning to end allows us to achieve the level of purity that you all so richly deserve. Check out Katatonic for yourself. We have rebranded Giving Tree Wellness Center to Giving Tree Dispensary as it was time for a refresh. Earlier in the year the owners decided to split, leaving the North Phoenix location under the Giving Tree name. Given the change from two locations to one, it become important to set a new visual identity. We had the incredible opportunity of attending the largest MJBizCon to date in Las Vegas, Nevada this November with over 27,000 industry professionals in attendance. Lilach Mazor Power spoke at the conference twice and several members of the Giving Tree team were able to attend this year. The Giving Tree’s 6th Annual Holiday Party was a blast. Our entire staff celebrated a year of fun, challenges and growth to the tune of drinks, appetizers, prizes, and our own photobooth. An annual tradition, the Giving Tree team celebrated the holidays with a company-wide lunch of Chinese food and fun! 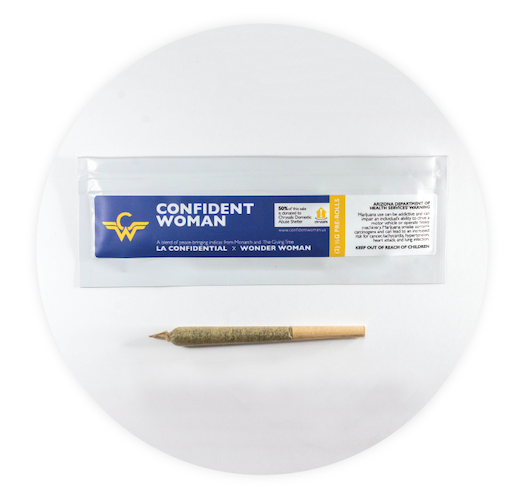 2018 marked the second annual year of our CONFIDENT WOMAN campaign, the first-ever product collaboration between two dispensary groups in Arizona. These peace-bringing indica pre-rolls combined Giving Tree’s LA Confidential with Huxton’s Wonder Woman, where 50% of sales were donated to Chrysalis Domestic Abuse Shelter. Our goal going into 2019 is to get more dispensaries involved with the Confident Woman campaign in an effort to make an industry-wide impact. Want to get involved? Contact us to learn more. We challenged both our staff and our patients with our first ever Ugly Holiday Sweater Contest! It was an immense amount of fun seeing our patients and staff dress up in all sorts of holiday sweaters. We’re already looking forward to next year’s contest. The first of its kind in the State of Arizona, Katatonic hosted a Diamond Bar day featuring our 100% pure THCA diamonds. Our pure THCA diamonds are truly representative of the hard work from our amazing extraction team, Katarina, Jen and Victor. We had patients from all over the state join us for this one-of-a-kind event in which you had the opportunity to select and weigh your own diamond. Stay tuned for the next Diamond Bar by joining our Diamond Experience Club. We are focused on bringing wellness and happiness to all with our products and services, which is why we don’t compromise, and we don’t cut corners. We have been operating for almost six years, and while we are proud of our achievements, we are more excited than ever about the future. We have so much planned for 2019 and beyond. We are looking forward to growing, innovating and become part of so many amazing communities.